Leveraging over the skills of our qualified team of professionals, we are engaged in providing Solar Panel AMC Service. Capitalizing on the proficiency of our skillful employees, we are readily captivated in providing to our honored patrons Solar Panel AMC Services. Rendered underneath the command of talented professionals, these rendered services are hugely known and endorsed in the market. We are the leading service provider of Operation and Maintenance Services for utility scale and commercial photovoltaic systems. Our highly proficient professionals are well-versed in providing these maintenance services as per the needs of our client. We use modern technology to offer maintenance services to each solar farm. 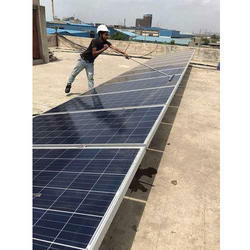 Being a reputed company of this industry, we are engaged in offering Solar Panel Maintenance Service. This solar panel maintenance service is highly acknowledged in the markets for its on time execution, promptness and reliability. With vast industrial experience, we are involved in offering a wide range of Solar Plant Maintenance Service. 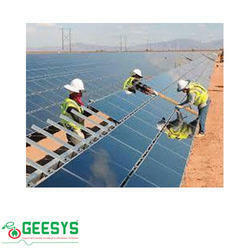 To meet the various requirements of the customers, we are involved in providing Solar Power Plant Maintenance Service.